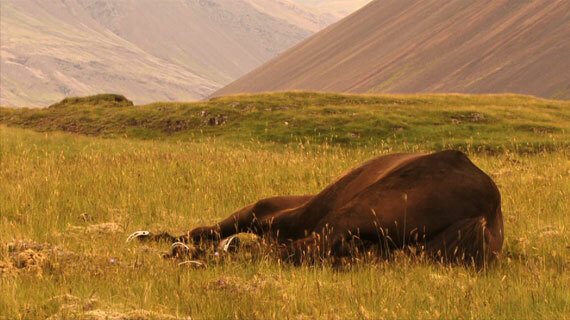 The video projection ‘Landscape’ zooms in on a lying horse whose breathing is almost physically perceptible. The horse, symbol of strength and vitality, seems vulnerable here. Its silhouette matches the outlines of the landscape surrounding it.